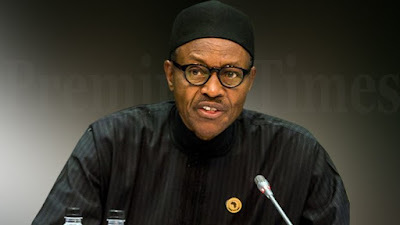 President Muhammadu Buhari on Sunday boasted that Boko Haram insurgents no longer poses a threat to his government’s development programmes despite the groups renewed attacks in some parts of the country. Buhari made the assertion while speaking at a bilateral meeting he had with the Emir of the State of Qatar, Sheikh Tamim Bin Hammad Al-Thani, and contained in a statement by his Special Adviser on Media and Publicity, Femi Adesina. The President said since his inception as President in May 2015, the Boko Haram sect has been systematically decimated though admitting that the group’s activities had led to loss of many lives and displacement of innocent people in the country. “We, however, take pride to inform you that since our coming to power, Boko Haram has been systematically decimated and are in no position to cause serious threat to our development programmes. “The conflicts in Yemen and Syria with their attendant humanitarian crisis need genuine international effort to solve. “Nigeria as a peace-loving country identifies with the State of Qatar in all her peace efforts in the world to end terrorist activities. “I wish to reiterate that Nigeria rejects violence and extremism in all their ramifications, and assure your Highness that we are with the State of Qatar in your efforts to fight terrorism and injustice in your region and in the world at large,” Buhari said.